1. Environment friendly, neither pollution nor radiation. NH-BOARD is more stable and reliable with characters of swift reflection and high resolution, thereby your writing is smooth, fluent and clear. 2. Convenient to install and adjustable at any angle with the options of wall-mounted, slide style, mobile and height adjustable style etc. 3. 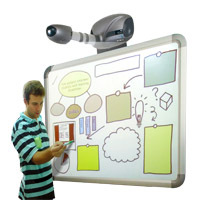 Powerful software with multi functions to choose, such as the changeable color and the size of the pen and can be upgraded freely. 4. Different sizes of types to choose and the customized model is available. Adopting the advanced waterproof and anti-abrasion board materials with a high definition displaying facility. You can use the general cleanser or alcohol to clean the whiteboard. You can edit any object on the board such as color change, edit the thickness of line, copy, plaster, move, revolve, transfigure, combine, separate, save and set hyperlink etc. It can recognize your handwriting notes as standard typed text ones including Chinese and English. You can save all of your operations on the board as a dynamical video and play it little by little without using any other particular media player.